The liberalization of the world market and the rapid expansion of most cities of the third world (if it can still be called that), created very complex urban situations that go beyond any perception of control and urban policy. The metropolis of Mumbai (former Bombay) is such an example. The largest city in India (capital of the Maharasha area), a financial center, home of the stock exchange and many multicompanies, is L’urbs Prima in Mundis, with an average population density 31.214 citizens/km². This is a city that shows/indicates the future of all urban civilizations. This urban fluid is developing with an uncontrollable extent and speed and is a typical example of today’s globalization. It was created spontaneously from several islands, originally as a Portuguese colony in the late 17th Century, and later as a vital strategic British colony. The south part of the town (where the legendary Colaba is) nowadays co-exists with the old Victorian style buildings and the colonial landscaping. Consequently, over the years, the central part of the city also developed (with the well-known settlements Dadar, Matunga, Kurla, Santa Cruz and the famous Bandra) to its maximum expansion experience towards the north and east with the Thanh and Navi Mumbai peripheries. This is the only city in India that can be called urban, although the rural habits are still present (without the diversity of which one can not imagine the heat of this anglomerate). The city developed by itself, without any planning, without politics. It’s population of 21 million inhabitants characterize its chaos. The infrastructure a provisional, and a total delirium rules there, with absence of any functional division of the space. The traffic is with unimaginable intensity and self-regulation. You are exposed to 24 hours of stress caused by sirens, long driving queues, absence of any driving rule, except for the driving instinct. Traffic noise reminiscent of a nuclear power plant disaster is a mix of many different movements, whether it be walking, vehicle/car or any other transport means (including the black and yellow auto rickshaws buzzing chaotically in all directions, a herd of cows that at times increase the adrenaline rush. There are almost no pedestrian crossings, and the road signs can be found only at the busiest streets. The few sidewalks are occupied for the purposes of trade exchange, and by night, they serve as beds to sleep on. Physically, the city spreads everywhere, broken down, with no urban orientation and division. High buildings spread in continuity. It is characteristic that the buildings are not of compact type, as we are used to perceive in Western capitals. The public areas are used to a maximum and over crowded, used by everyone and in every way, without occurrence of any conflict between the users. The private areas, on the other hand, are under constant video surveillance and protected everywhere with heavy security. Although there are areas that are very exclusive and expensive, it is not a problem for their tenants to share their everyday life outside with the poor masses present everywhere. An extraordinary sense of coexistence. The city is sinking into garbage. It reproduces inversely to the capacity of public services to its collection. It may be the largest resource for its development, if certain adjustments are made regarding the garbage recycling and processing. 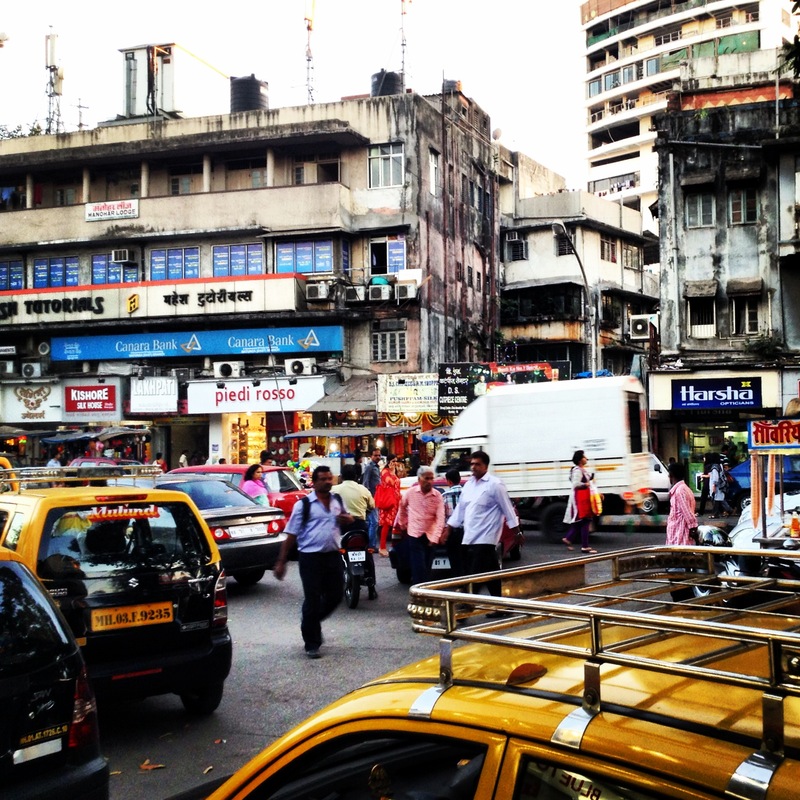 Across Mumbai there are many massive business centers (mostly of IT agencies) arising prevalent throughout the city. New-born urbanities with skyscrapers and make-up facades are surrounded by vast expanses of poor ghettos (slums or shantytowns/squatters). Over 50% of the population lives in such instant neighborhoods, with no standard and conditions for living. They are a symbol of and the reason for the Western financial crisis. After all, these urban spots are supported by these ghettos, whose poor emigration population supports them with their cheap labor. As a result, the business cores manage to impose a competitive price on the foreign markets and thus attract foreign capital and maintain its economic profusion. And that’s the extraordinary in this city. 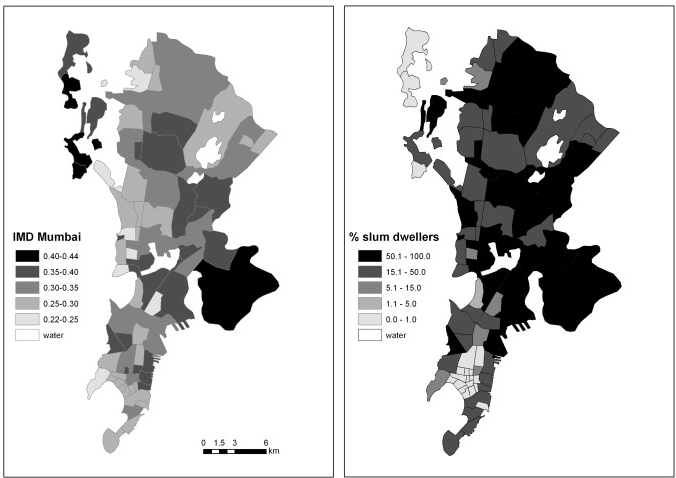 Huge ghetto areas of poor citizens are integrated within the metropolis. This is what distinguishes this city from the favels in Latin America and similar shantytowns in Africa and Asia, where the most vulnerable and poor masses are always expelled from the city and often concentrated on its edges/peripheries. 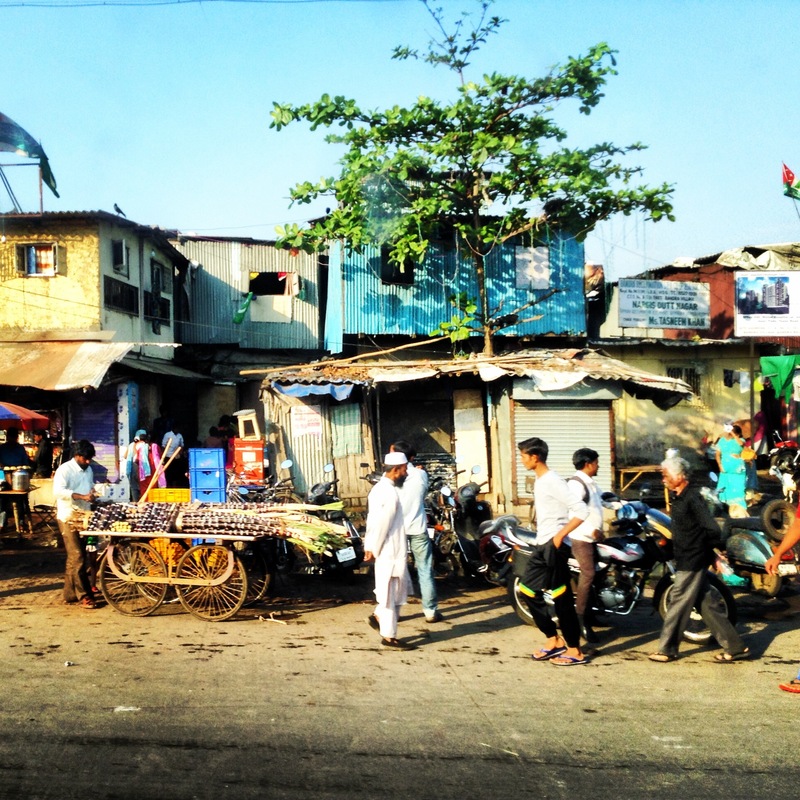 In central Mumbai you will find Dharavi, the largest slum in the world, although recent studies suggest other hot spots of such ghettos around the city growing proportionally and instinctively. Ghettos of barracks are physically noticeable in the morphology of the city, where, apart from the regular urban tissue, you can see vast expanses of urban spots filling any gap of the city and distributed throughout different parts of the city. (Morphologically seen on the map, they look like a tumor of the existing urban organism). This is the reason the municipal authorities are trying to reduce them to zero (if that’s even possible). There are dozens of proposals by the local architect Mukesh Mehta, anticipating reorganization of the slums through residential typologies regulated by the market regime. 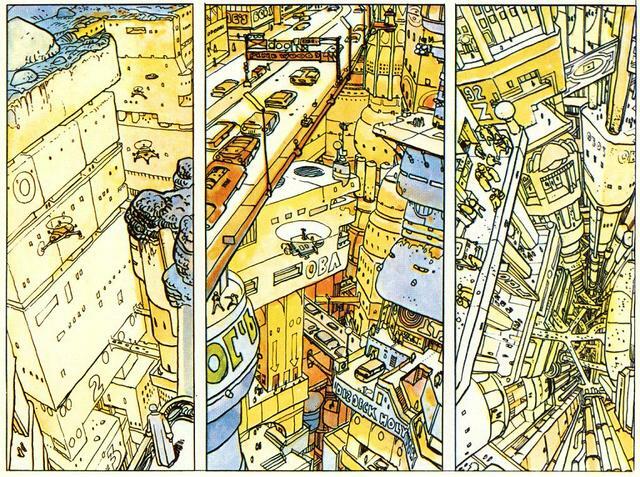 This magma of people in Mumbai and the present western crisis is personified in the apocalyptic vision of the French comic L‘Incal Noir (Moebius), where through the dramatic scenarios the extinction of post-liberal city is reflected. (What would remain of the world capitals after they lose their self-sustainability). The comic book shows the high density of people and garbage overload that indicates such interpretation and captures the situationism as philosophical thinking. 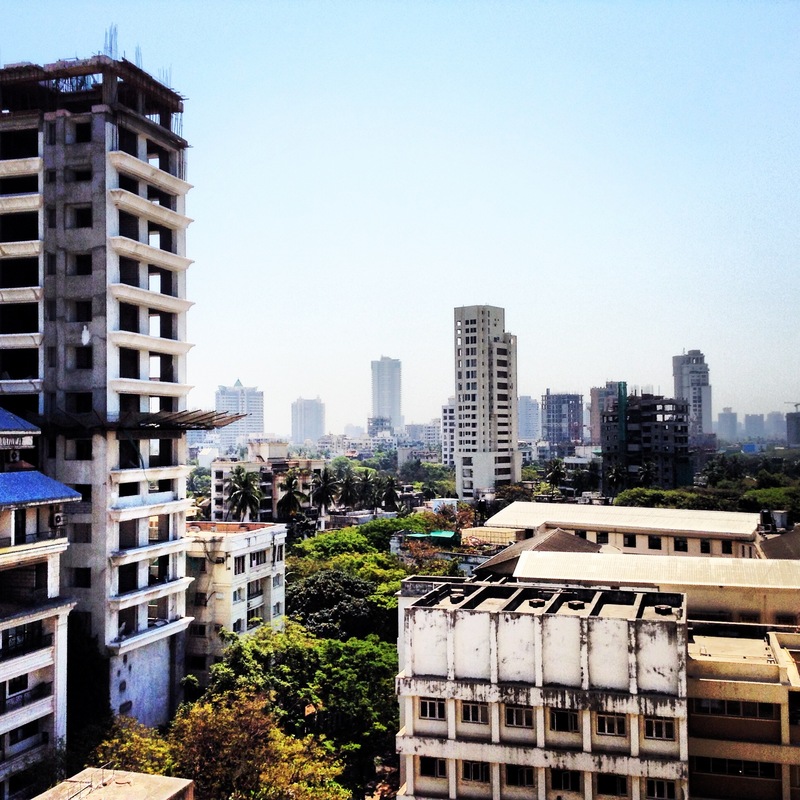 In the period between 5 – 19 February 2014 the ICSID (International Council of Societies of Industrial Design) and Welingkar Institute of Economy, organized the Interdesign Mumbai (seminar and workshop), with topic: “Humanizing a Metropolis”. This workshop was particularly important not only because it systematically addressed the key issues for the development of the city, but because it was initiated by the Center for Economic Sciences. This was for the first time this type of issue to be elaborated by the economic studies and management, which would create conditions for the development of a separate discipline of urban marketing, assisted by the design and its meaning. Eight foreign experts from different areas together with 30 local experts that participated at the seminar made ​​efforts to specifically debate possible solutions for the city. The workshop was divided into several topics, where the participants tried to provide innovative answers to critical questions. 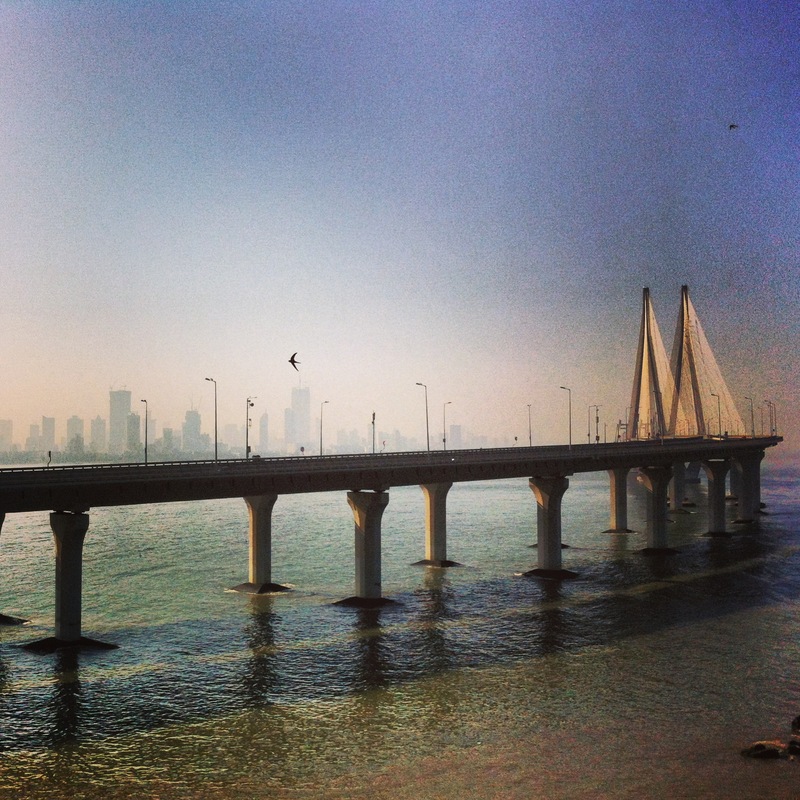 One of the reasons behind this Interdesign was the current economic boom Mumbai is experiencing. Its GDP is growing steadily (the state has an income of over 40% of taxes and 60% of customs). The city has an opportunity for rebirth. This period is very important for it, since an important decision should be made to define the path of its further development. It is already under financial pressure of the liberal market, but it will not be able to stand on this map for extended time period. It is forced to find its own sustainable process before facing a collapse. The economic upturn in recent years has significantly improved the city infrastructure. Last year, fast west highway featuring the iconic Rajiv Gandhi bridge was put into operation, in order to ease the traffic in that part of the city and thus open the view towards the urban lаndscаpе. At the beginning of February the second terminal of the international airport was opened with the accompanying Sahar elevated access road, in length of 2.2 km (allowing only movement of light vehicles/cars, without any heavy traffic and public transport). The construction of a fast east highway is in full swing, along with the intensive progress of the subway (metro) construction, to be completed by the year of 2021. The monorail also started functioning at the end of January, with several stations (with a daily capacity of 30,000 passengers), which shall be certainly expanded in the future. 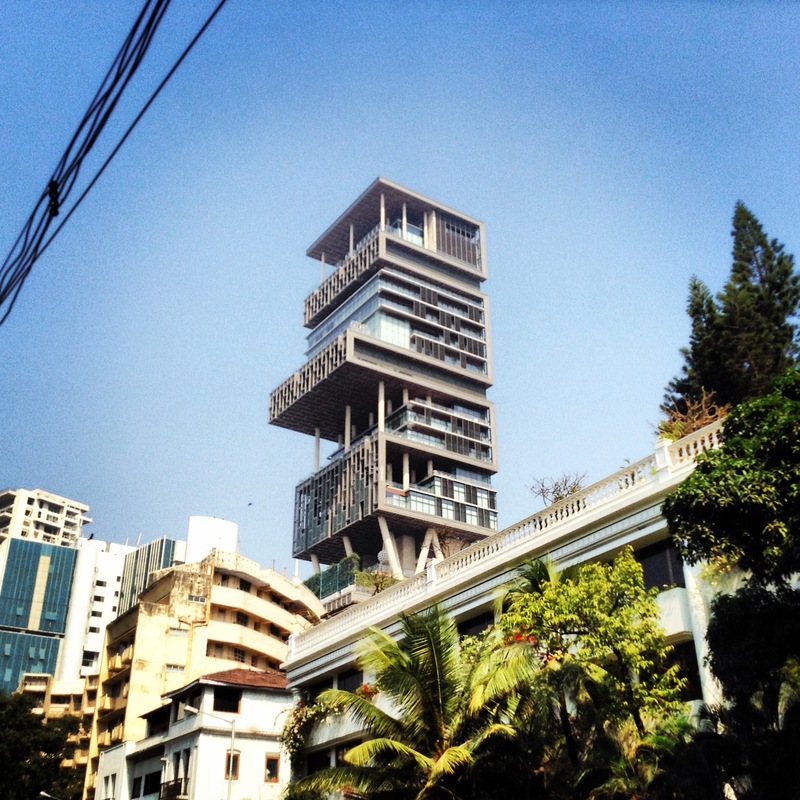 Newer buildings that attract the attention are certainly the Art Centre in Bandra and the most expensive real estate Antilia, luxurious building of 27 floors with parking for 150 cars, populated only by one five-member family ( with total cost of construction for the building of one billion dollars). In this part of the city – known as one of the most luxurious – Pedar Road – you’ll also find the masterpiece of modern architecture in the 1980s, Kanchanjunga Apartments, work of the famous architect Charles Correa, who is also the planner of Navi Mumbai. 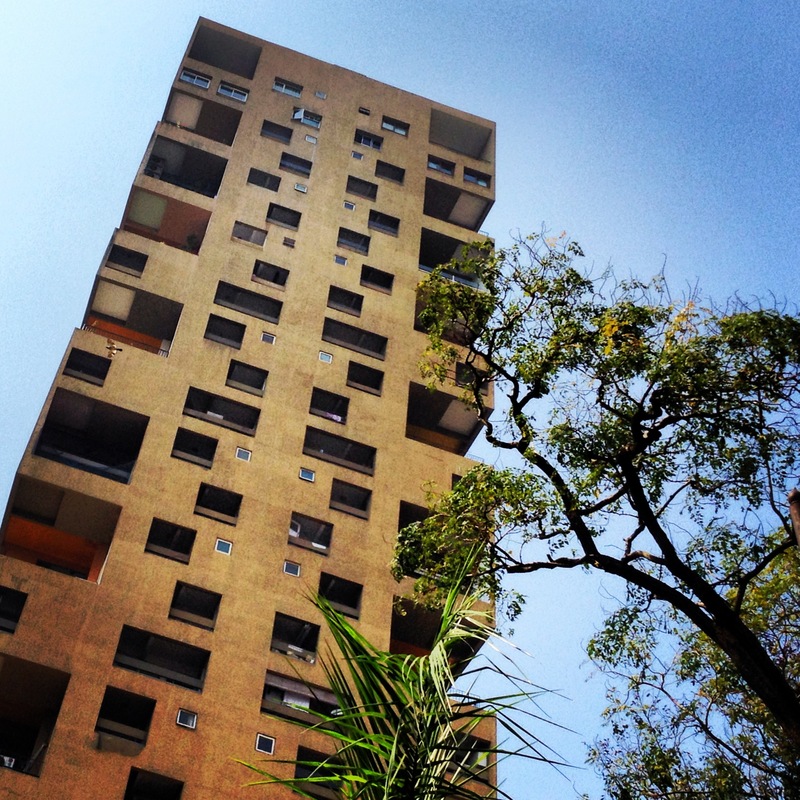 This soliter represents a vertical version of the Unita di Habitacion in Marseille. The circle of this wonderful and crazy maximum could not be finalized without the Bandra settlement (in the west part of the city) – the most cosmopolitan settlement with a large number of clubs, bars, restaurants and shops. This is the home of the Bollywood actors and the famous Parsis (people of Persian descent, residents since the 20s of the 19th century and one of the richest). The main promenade overlooking the Arabian Sea and extending to the Portuguese Forts vivifies this wonderful Bollywood movie full of absurdities. Nice text and graphic presentation. Must admit that with this article I upgraded my existing (poor) knowledge of the Mumbay City in general. 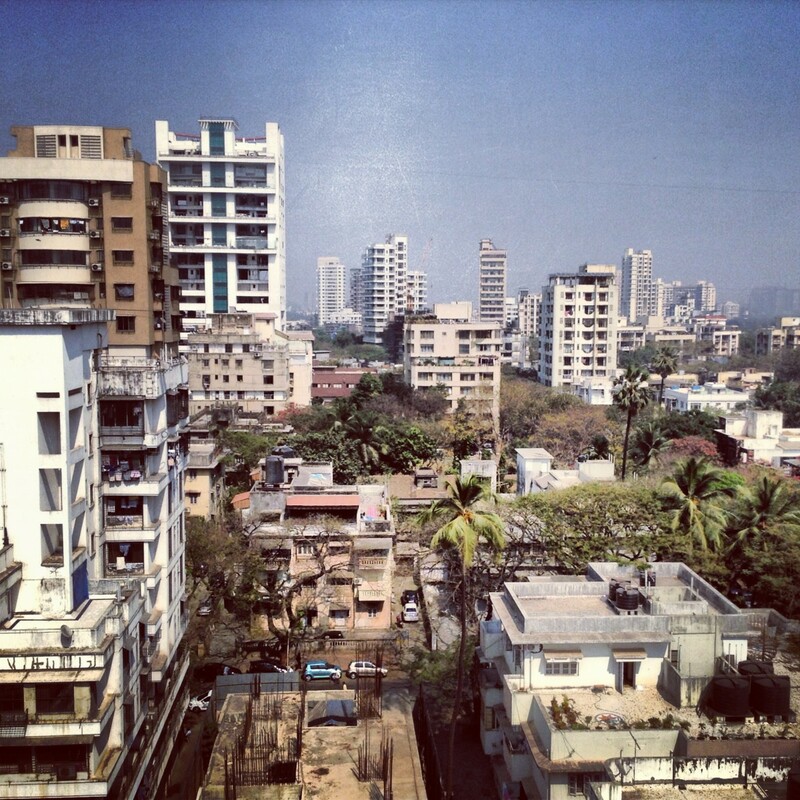 Having in mind that Mumbai is one of the largest mega cities in the world with a lot of chaotic urban characteristics – it is one unique experience to introduce it on this way, especially being present on the Workshop “2014 Interdesign Mumbai – Humanizing a Metropolis”. I am pretty sure the author can give us even more Mumbay hints in some future posts.